Prophet Brian Carn was born on September 11th in Jacksonville, Florida. Raised in the admonition of the Lord, he received salvation at eight years old, and soon after, the gift of the Holy Spirit. In response to these life-altering events, Brian Carn experienced proliferated spiritual growth that catapulted him into ministering the Word of God at a very young age. At the age of twelve, Brian Carn conducted his first three-day revival. Carn’s insatiable desire to resuscitate the church with the presence and power of God invoked him to dedicate eighty-eight days to prayer and fasting. During this time of consecration, Prophet Carn was publicly acknowledged by Benny Hinn at a crusade in Florida. Pastor Hinn prophesied that Brian Carn would walk in the same anointing and mantle that the Lord had placed on his own life, emphasizing that Carn would receive a “double” portion. This encounter further confirmed and catalyzed his fire for the Kingdom of God; he began to walk in his prophetic call. In 2006, God sent Prophet Carn to the state of Virginia to preach a Sunday morning service. The anointing was so powerful that he was invited back for a three-night revival. Unbeknownst to him, these three nights would turn into a 10-week Move of God– cancers were healed, the blind were made to see and many souls were saved! Since then, Prophet Carn has received myriad invitations to minister at prominent engagements, including the COGIC 100th Year Celebration. After years of ministry, Prophet Brian Carn has become an internationally recognized prophetic voice, a preacher of Holiness, student of the Word, and Chief Executive Pastor of Kingdom City Church in Charlotte, North Carolina & St. Marys, Georgia. He is renowned for his prophetic accuracy, humility and passion. God has equipped Prophet Carn to see and speak into the spirit realm− to confirm and to change. The miraculous and incessant testimonies attributed to his ministry are incalculable with many reporting physical and mental healing, financial breakthroughs, property acquisitions, home and auto acquisitions, debt cancellations and favorable legal outcomes. 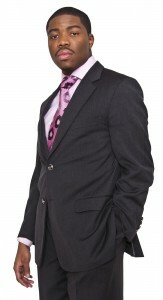 Although the power and glory of God are made manifest without exception, it is no fallacy that the office of a prophet is wrought with insurmountable and unrealized persecution; however, the blessings and promises of God continue to inundate the life of Prophet Brian Carn proving God’s faithfulness and divine hand upon his ministry. Previous PostPrevious What Does the Bible Say About False Prophets?